Your turning to Me and My Transmission of My Own Spiritual Presence — My "Bright" Spiritual Transmission in response to you — these two together, that is Adidam. The Way of Adidam has unique characteristics, and they are all based on the tangible Spiritual Transmission Given by My Avataric Divine Grace. They are not based on philosophy or thinking or techniques. The entire process in My Company is based on the devotional and (in due course) Spiritual relationship to Me, and not on any technique of seeking. If you want to know that this process in My Company is true, then experience Me. That is all. It is not about believing something or merely thinking that it is so. It is a matter of approaching Me as a devotee, in this searchlessly Me-Beholding manner of true devotion. For the devotee, that is sufficient. The mere devotional Beholding of Me being sufficient for My devotee, I Reveal Myself to him or her through various signs. The Way of Adidam is simply the process of My devotee being given over to Me, combined with Me. Altogether, the Way of Adidam is the process of manifested conditions being given over to their Source. That is it — being surrendered in the Divine Source. Not the "Divine Source" as a philosophical principle or an abstract idea, but as a tangible Person here, Avatarically Self-Manifested, Speaking to you now. Ruchira Avatar Bhakti Yoga: Surrender of the four lower faculties of the body-mind to the Divine — In order to fully receive Avatar Adi Da Samraj's Transmission, the body-mind has to be in a very specific position and disposition. Avatar Adi Da Samraj describes this “surrendered position” in terms of a specific orientation for each of “the four lower faculties” of the human being: mind, body, emotion, and breath. Adi Da Samraj calls the practice of turning the four faculties of the body-mind to Him in every moment, Ruchira Avatara Bhakti Yoga. Use of the higher faculties — The four faculties cannot surrender themselves. Activation of the higher faculties — awareness, heart-response, discriminative intelligence, and will — is essential. The right Spiritual functioning of the human being in relation to God only comes about when all the faculties are submitted according to a given, natural hierarchy. Awareness and heart-response allow us to come into contact with God and Reality altogether, through the relationship with the Spiritual Master. Discriminative intelligence then forms conclusions about how to re-organize one’s life based on this greater feeling-awareness. Such conclusions would remain mere “good-heartedness” if not for the accompanying presence of a strong will, which connects the higher and the lower faculties. It is by virtue of a developed will that discriminative intelligence submits the lower faculties to God. The secondary and supportive disciplines in the Way of Adidam — The core of practice in the Way of Adidam is the moment-to-moment contemplation of Avatar Adi Da Samraj Himself, and His Spiritual Transmission. However, engaging disciplines that curb our otherwise endless and overt seeking, and require us to feel instead are critical to allowing self-understanding to proceed to the point of hearing and, ultimately, God-Realization. The ego is a primal action (the self-contraction), compounded by all kinds of secondary actions, and therefore its undermining requires counter-egoic actions or habits to be put in place with consistency. Searchless Beholding of Adi Da Samraj — Searchless Beholding is the Spiritually Awakened practice of Ruchira Avatar Bhakti Yoga — or searchless surrender of the faculties to Avatar Adi Da Samraj. 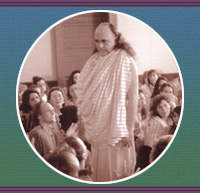 It is a practice that can only be engaged on the basis of Spiritual Initiation by Avatar Adi Da Samraj Himself. That Spiritual Initiation is given by Him in occasions of silent Beholding of Him, in which you sit facing His physical human form and directly receive His Spiritual Transmission face-to-face. 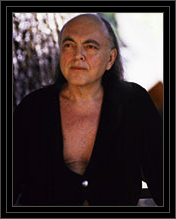 This direct Spiritual Initiation is Offered by Avatar Adi Da on special Initiatory retreats to those formally practicing devotees who have completed the initial "student-beginner" period of study and adaptation to the disciplines and the basic practice altogether. This preparatory period can be as brief as nine to twelve months. Transcend everything in Consciousness, Recognizing all objects in and as God. The third stage of the Perfect Practice is Divine Enlightenment: complete Awakening from the dream of limited existence.